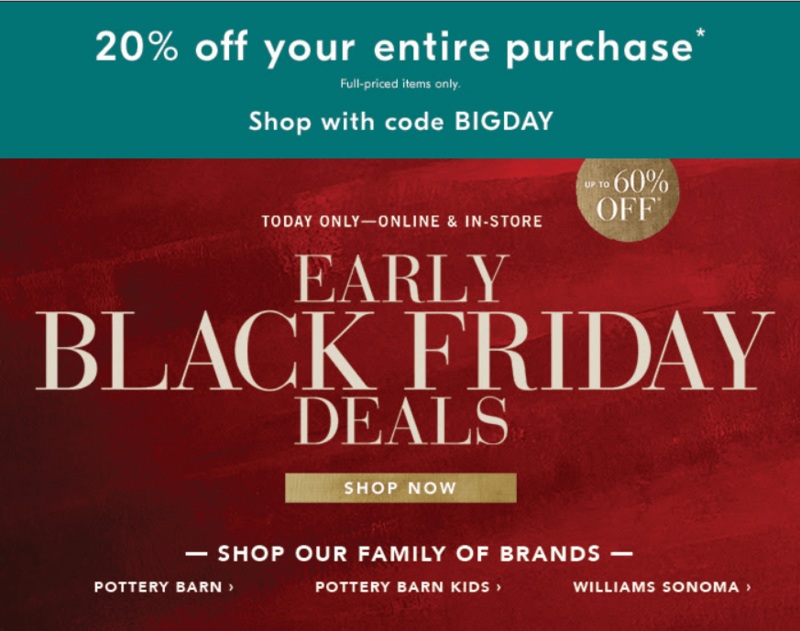 For a limited time, save 20% off your entire purchase at West Elm, Pottery Barn, Pottery Barn Kids and Williams Sonoma during their Early Black Friday Deals. Discounts apply to original prices in store and online for a limited time only. Products shown may be on backorder and not immediately available. Not all products are available in all stores.